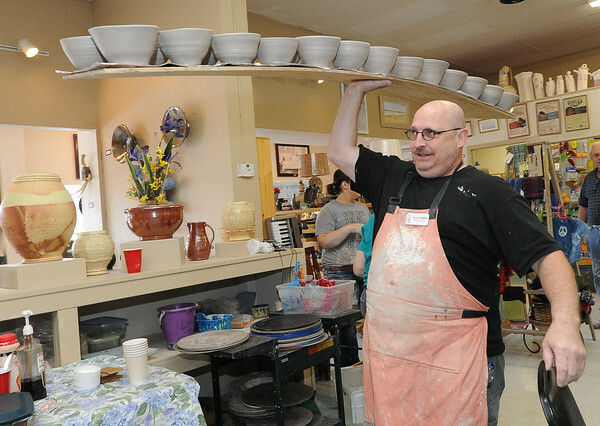 Artist Kevin Hughes, left carries some of the bowls he spun during the Empty Bowlathon on Saturday at Phoenix Fired Art. About 20 potters gathered Saturday to spin bowls for the Empty Bowl fundraiser in November, which raises money to support local agencies that help feed the poor. The fundraiser, in its fourth year, raises about $20,000 a year.